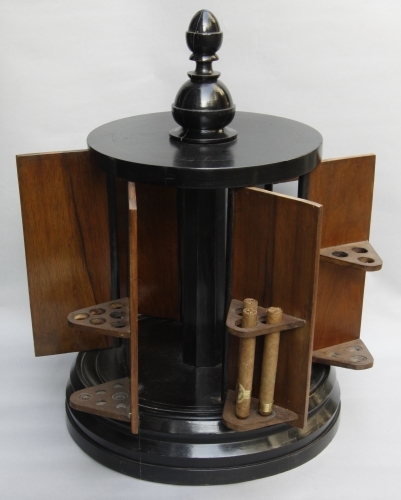 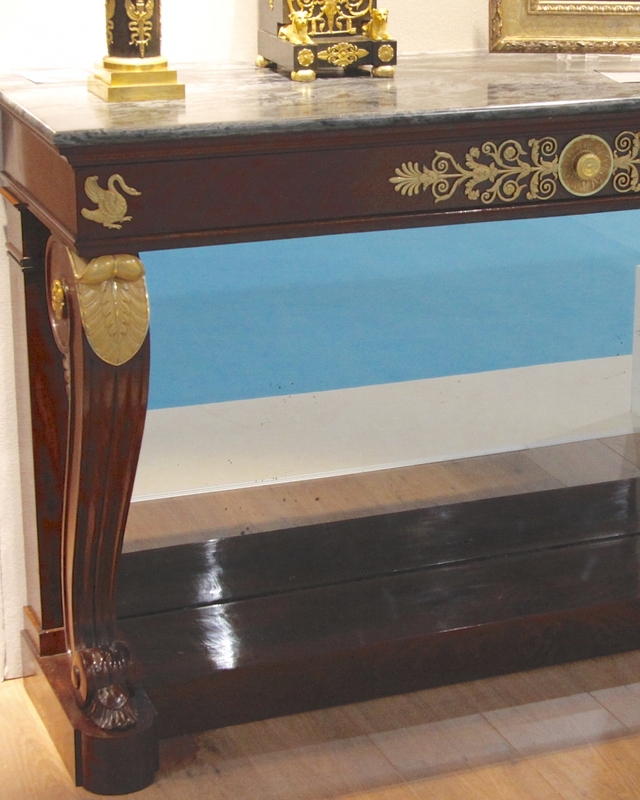 Large sidetable from the Restauration period; made of mahogany and mahogany veneer. 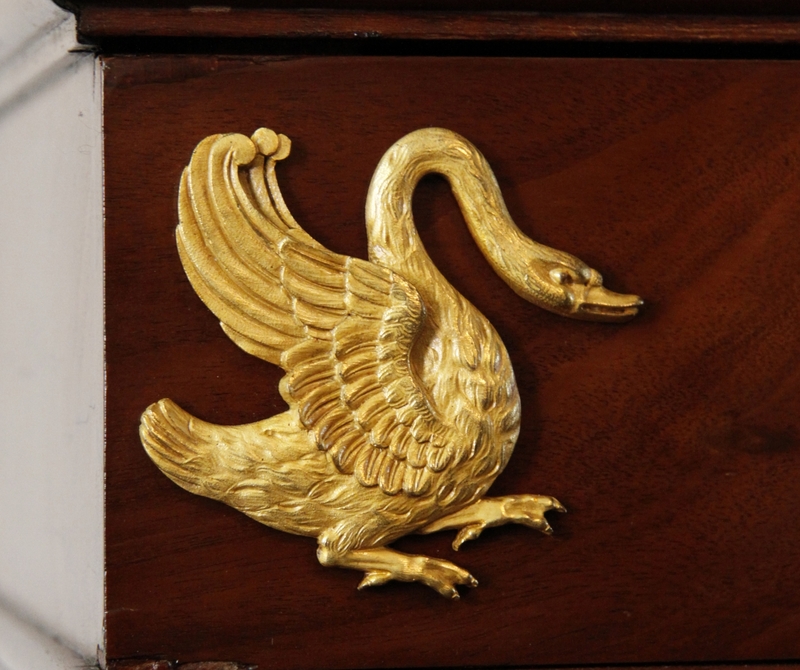 The table has gilded bronze ornaments on the drawer and front legs. Grey-white marble top. 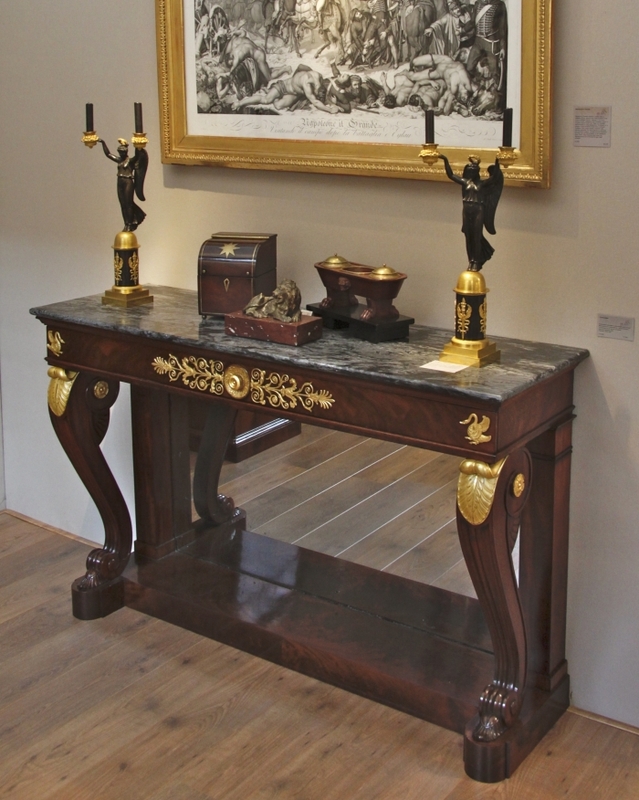 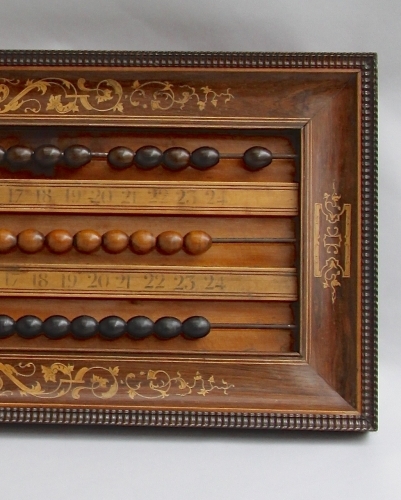 This beautiful and large console table shows many similarities with a piece of furniture from the hand of ebeniste Louis-François Bellangé (1759-1827): the shape of the plinth and in particular the special shape and decoration of the front legs are recognizable in a console table by Bellangé (Ledoux-Lebard: Le mobiler Français du XIX siecle, p 64). 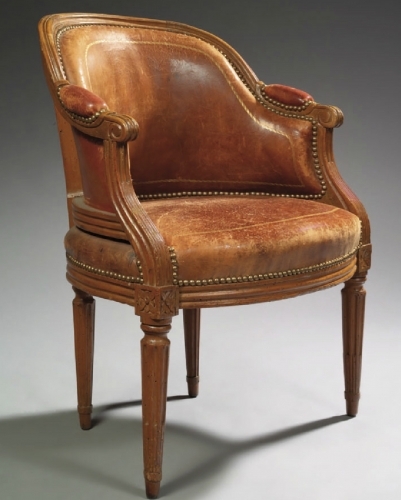 After the fall of Napoleon, two brothers of Louis XVI came on the throne: first Louis XVIII, succeeded by Charles X. 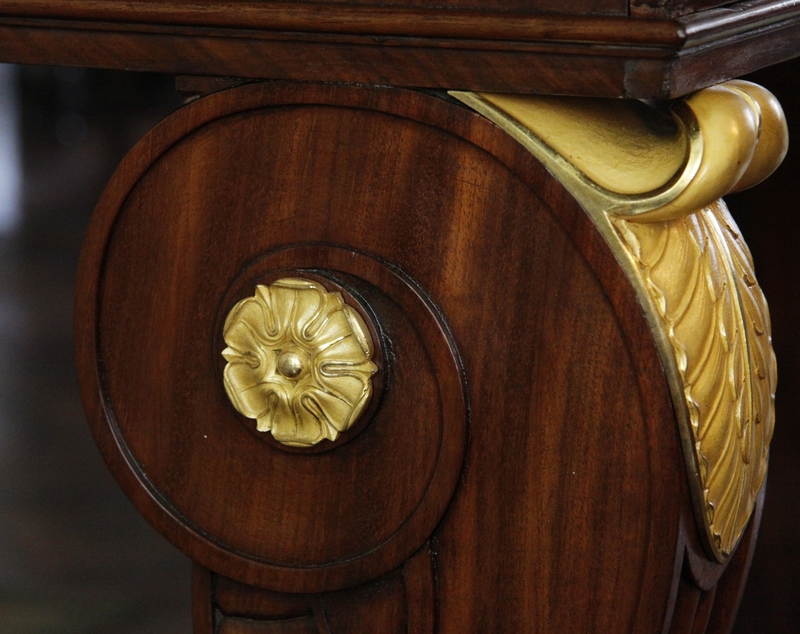 This period is known as the Restauration or Restoration. 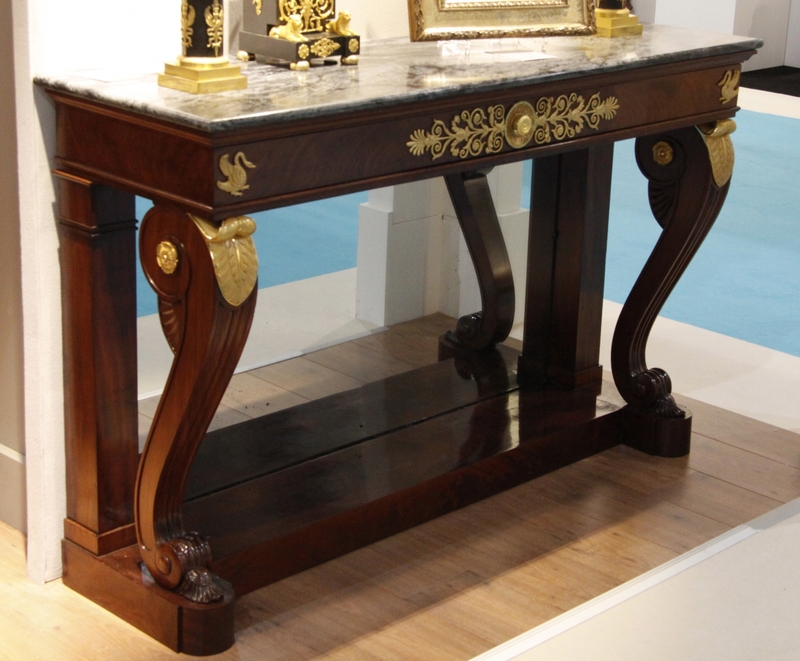 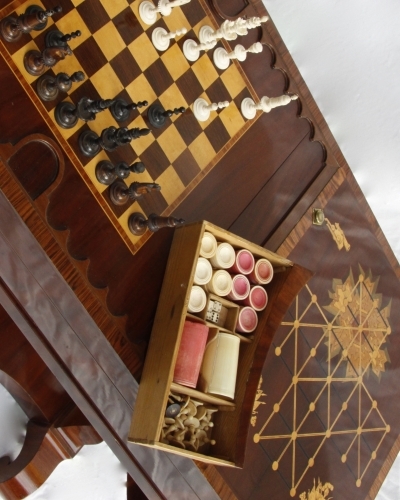 Our table is a good example of the high quality furniture made in this period.